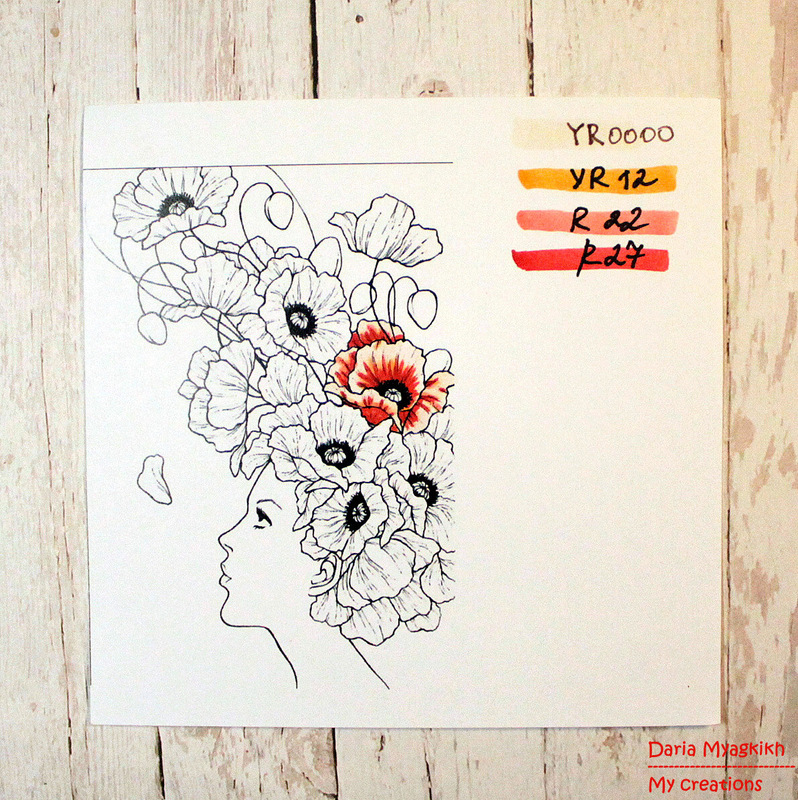 So first thing that I'm doing before start coloring almost any image is checking how such thing looks like in real life. 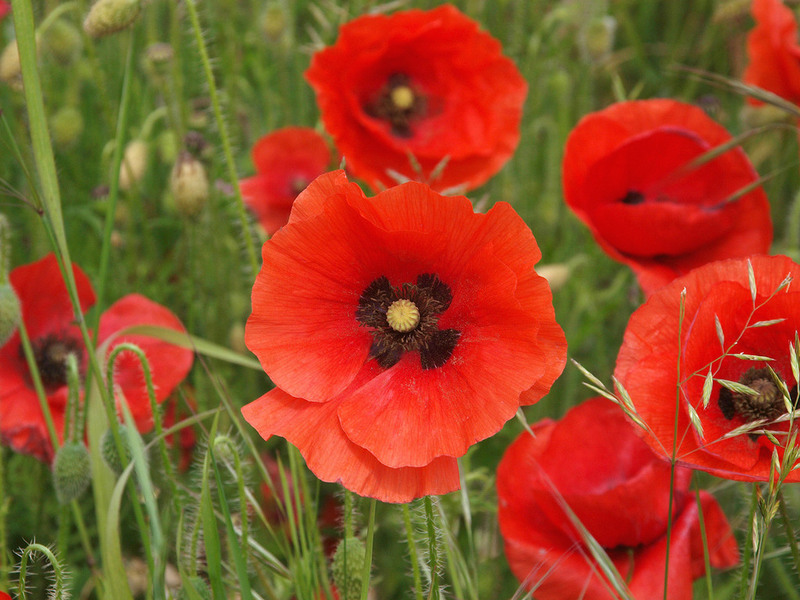 Here some options of poppies that I found in internet. Apparantly there are a lot of different varieties! 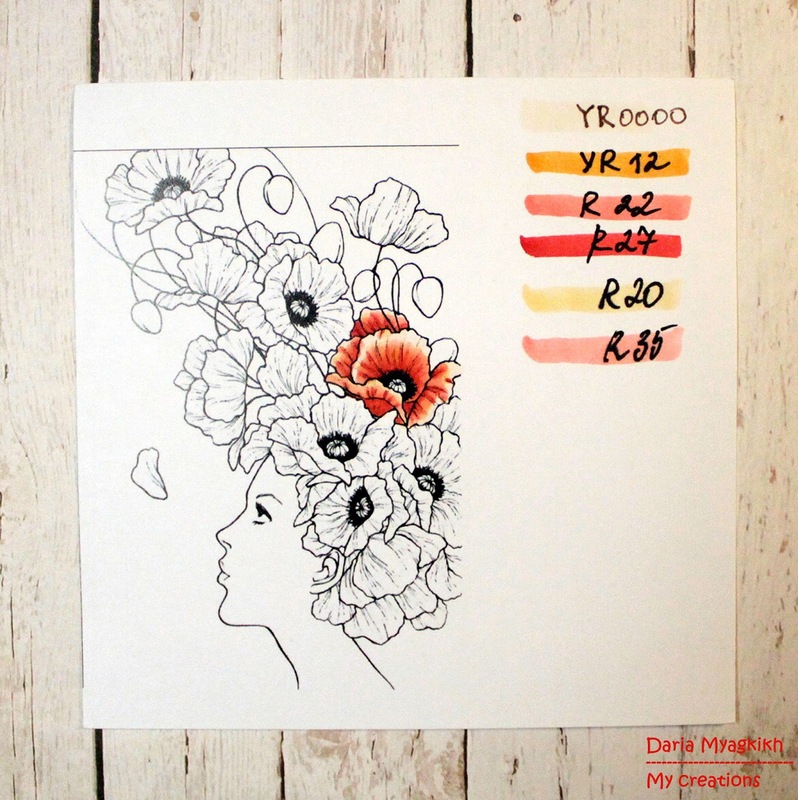 I thought that I will go for classic red and black pallette. 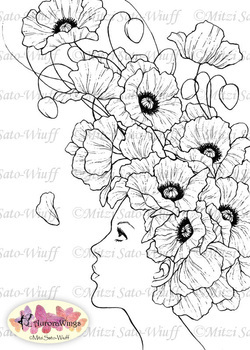 I will show you my way of coloring with only one flower (overwise this post will be endlessly long). At this stage adding light colors (on most light places :) ). Using YR20 and R32 for that. Hope you will find my tutorial helpful and interesting! 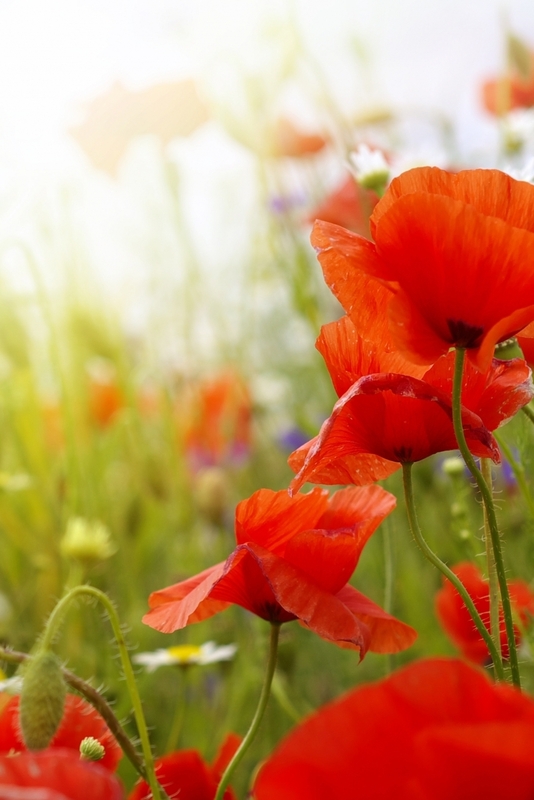 Have a great day and bunch of inspiration! 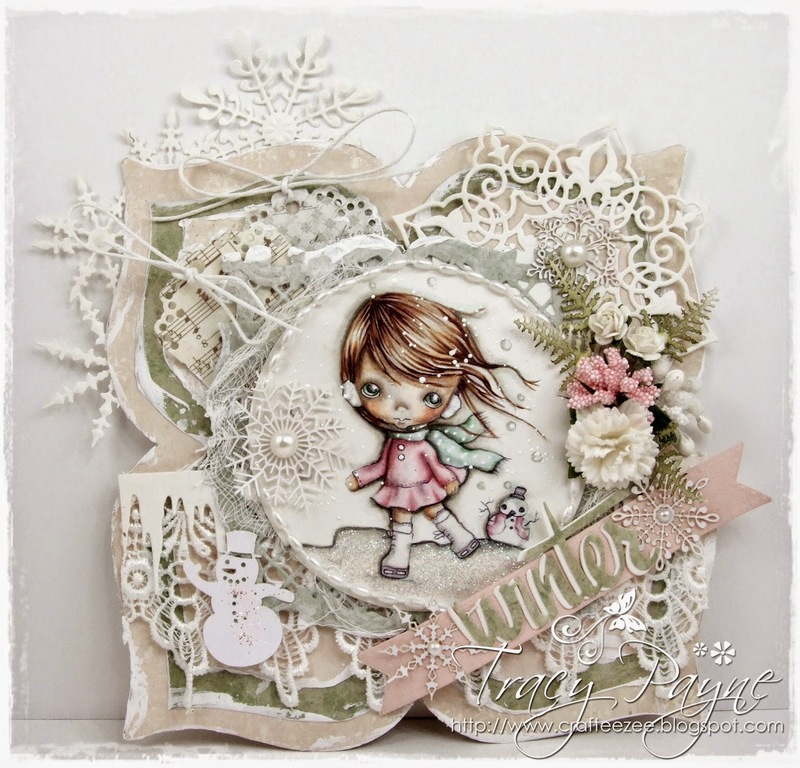 The background is made with Prima Colorbloomsprays which have a nice pearly shine. 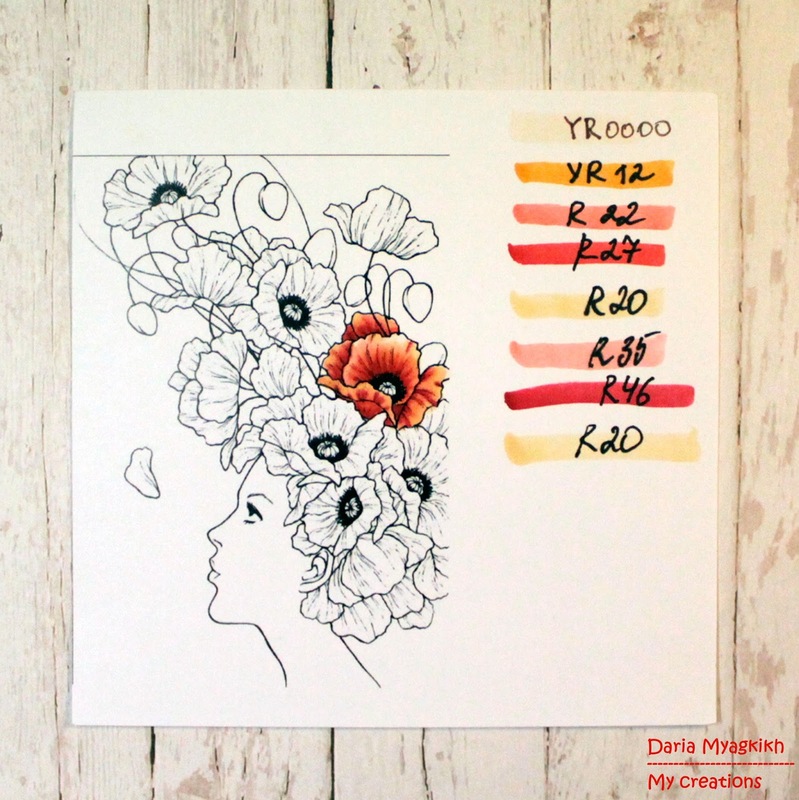 I used the inks with some Dutch Doobadoo stencils. There are some stamps in the background too, from IO and Indigo blue. The seaplants are by Dylusions and the very tiny fish are by IO. I found the quote on the internet and wrote it my posca markers and a copic multiliner. It took me a few hours to colour this mermaid especially the hairs and tail but as long as I can draw or colour I'm happy.... 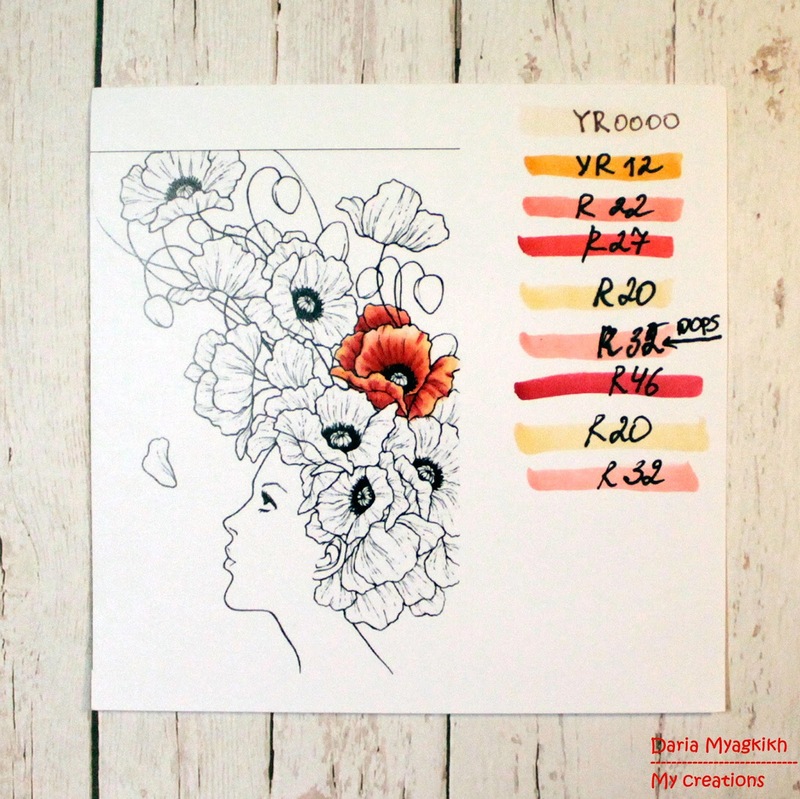 I normally start with the lightest colours first and build up to the darker ones and than back to the lighter colours for blending. Because of the transparancy of the copic colours it's also fun to blend different colours like I did in the tail, using a light yellow (Y11) to blend the purples and blues together and ending up with some lovely green. Yellow is not one of my favorite colors, but sometimes you have to challenge yourself and step outside the box. 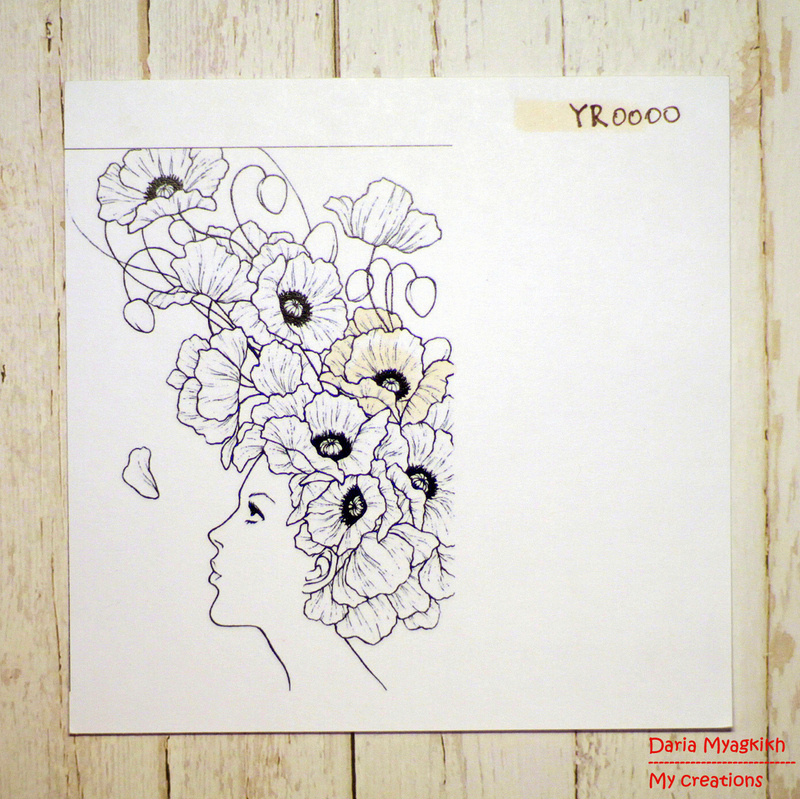 I have created a card with a stamp from a coloring book on the Web. but as you can see I have confused them and I like this very little "special" yellow color. Around the subject do you see many tiny dots, I used confetti technology. I took four pens BV20, BV23, BV29 ,W0 and Blender (0). To get small fine dots, hold the pen upright, then you should think about the darkest spots should be closest to the subject and not too many. 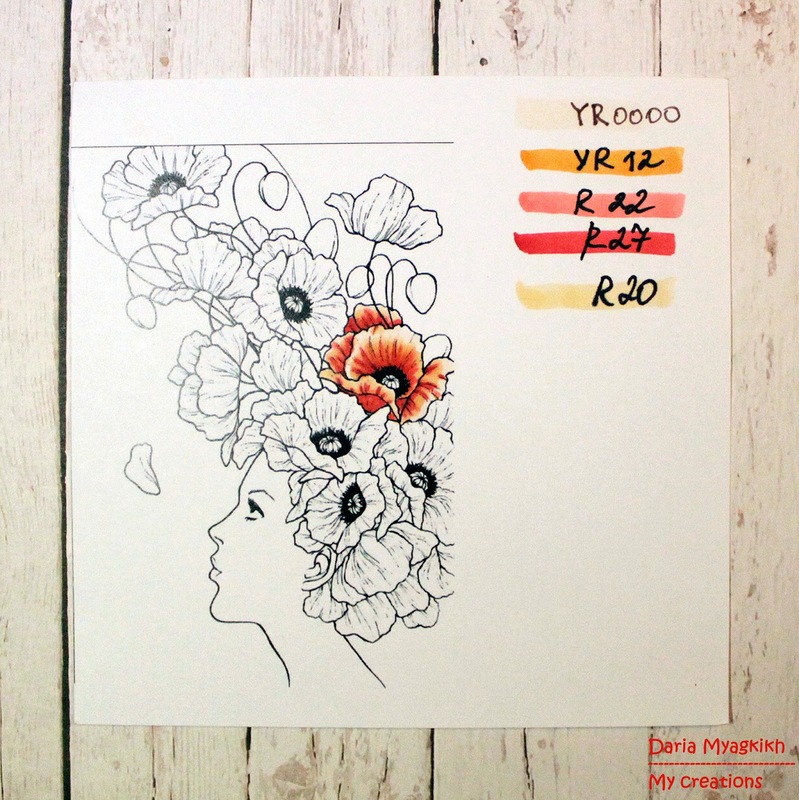 Then fill in with more dots with the two lighter colors. The dots may well be different sizes. Last, I use the blender to "dampen" the dots. 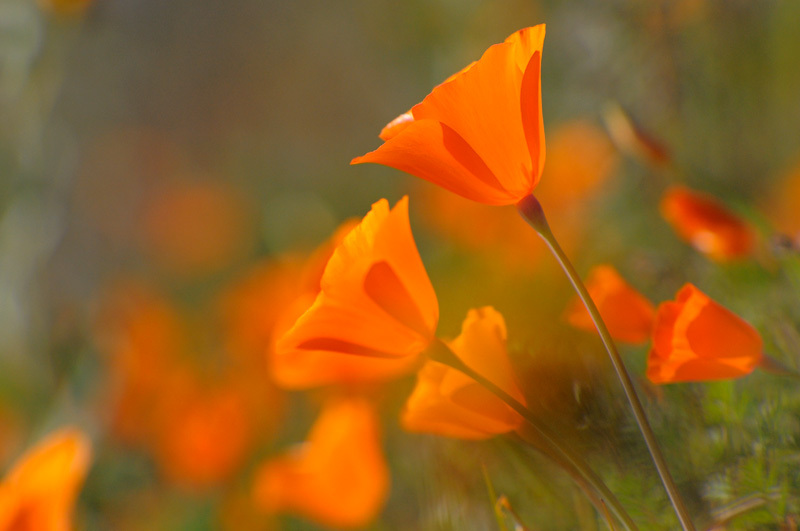 The amount of dots around the subject is a matter of taste, but they should not take the focus off the subject. Here you see the finished result, a really cute baby cards I think. Under the picture of a giraffe, I meant to put numbers on the child's age. But I do not know who to get it so I wait until I know who the receiver is. 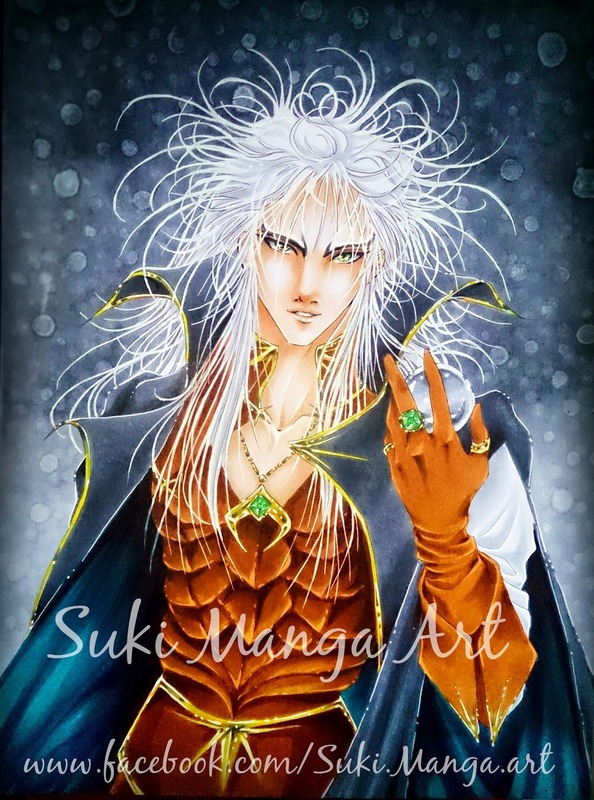 He is a fictional character created by Jim Henson and the main antagonist of the 1986 fantasy movie Labyrinth. Challenge 37: Things with wings! Deborah here for you today with a super fun new challenge! First of all, thank you for playing along with our last challenge! We'll announce the winner on friday 20th of february. 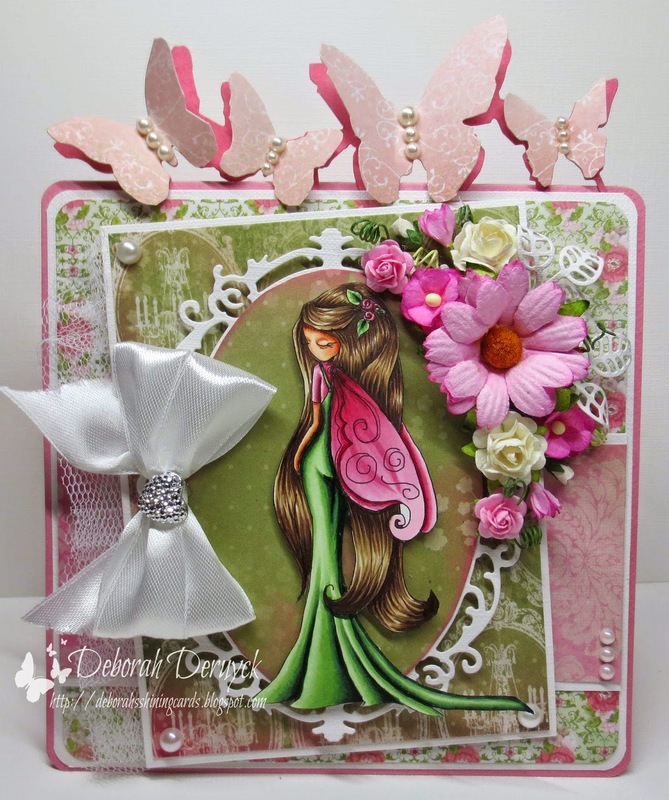 Who loves fairy's or animals with wings? I do, and I hope you too! 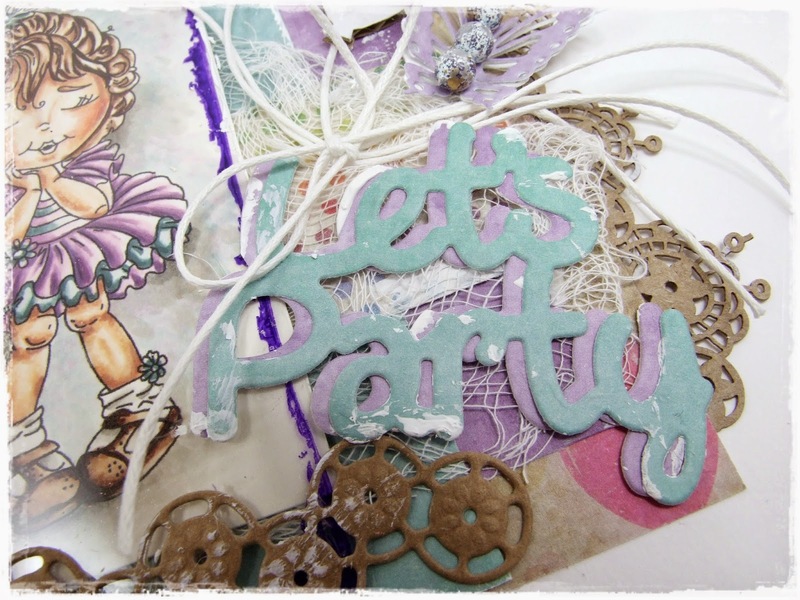 So pull out your fairy, animals with wings, etc... stamps out and join the fun! 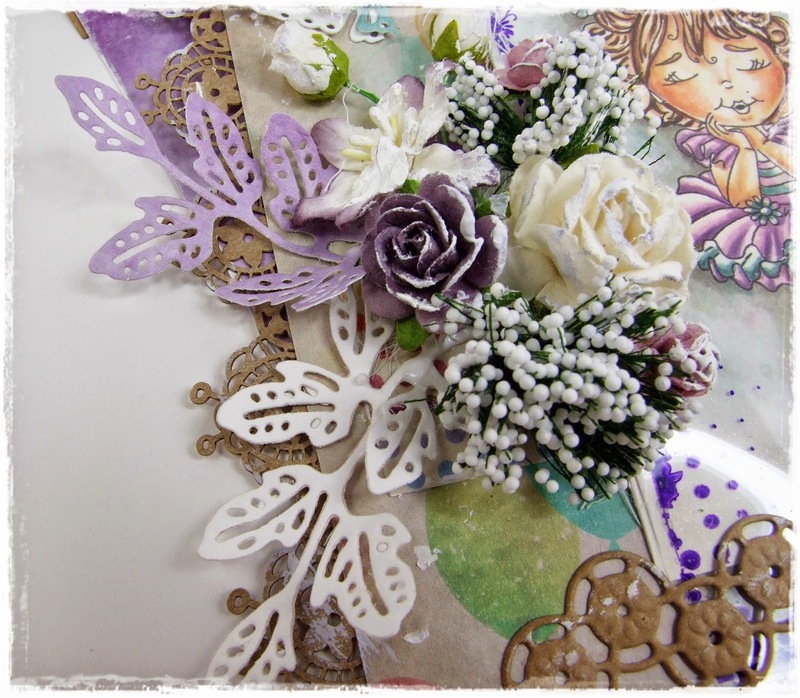 For this card I've used my Tim Holtz butterfly border again, It's one of my favourites and also good for the challenge! 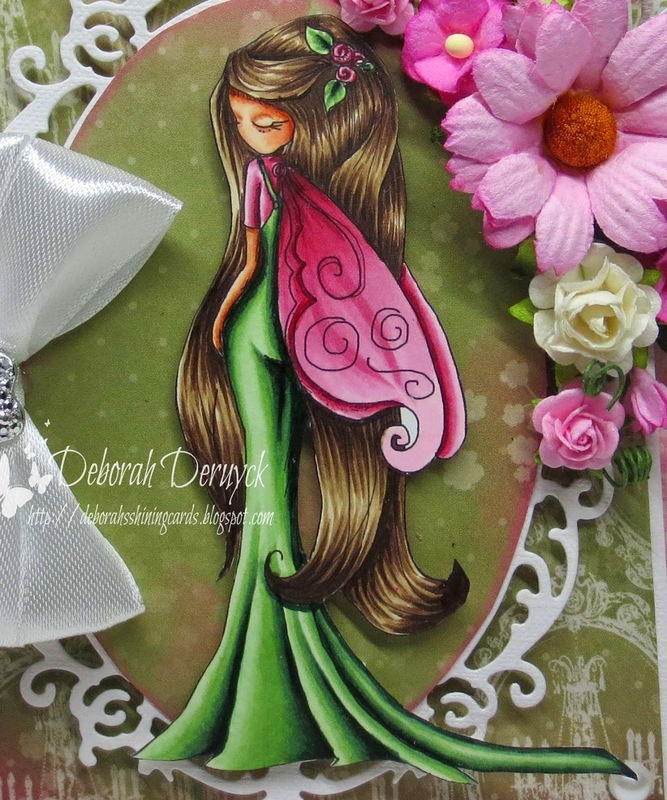 I love this fairy stamp from Tiddly Inks and it was so fun to colour her up! I've added a bow, pearls and flowers to this card to finish it. before the end of the 17th of march 2015. The winner will be announced 20th of march 2015. 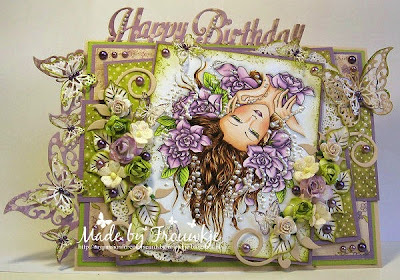 Tracy here sharing a card made using the new release stamps at Noor!DesignUK. This little lady is called Party Girl in Hat. 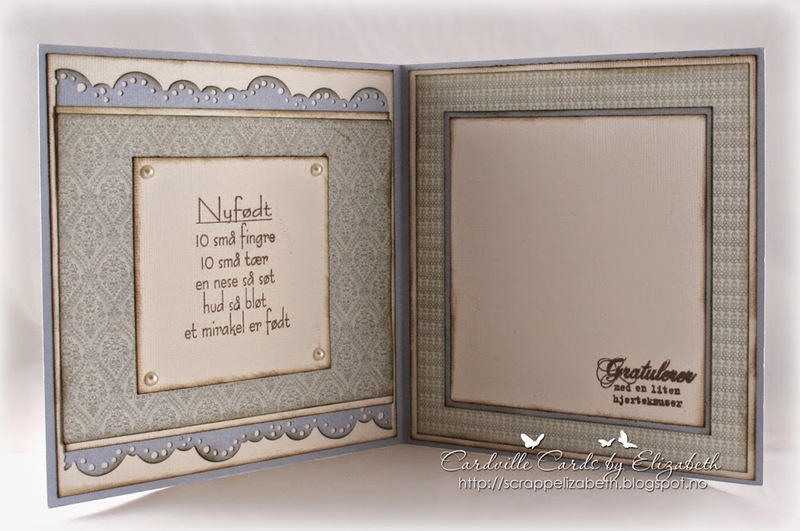 I have added Dutch Doobadoo A5 Craft Borders to either side of the base of the card. The Dutch Doobadoo Cardboard balloons go perfectly with the party girl. The first balloon nearest to the image was coloured using BG75, BG72 and BG70. The other two balloons had a mixture of crackle paint, acrylic paint and gesso. The image is surrounded by a Noor!Design Grunge Frame inked with Iris Staz-on onto accetate and positioned over the top. 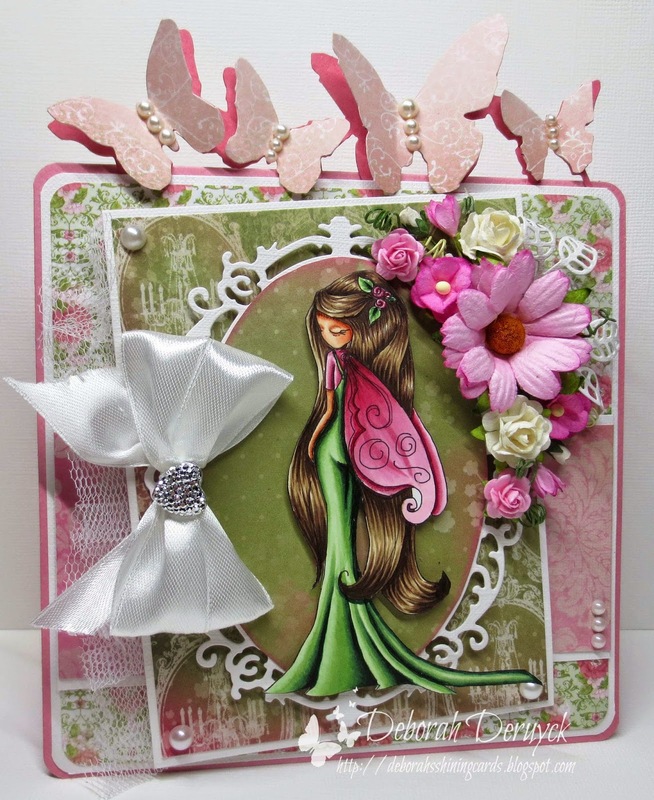 I have used the new flower circle border across the bottom of the card cut from kraft card. 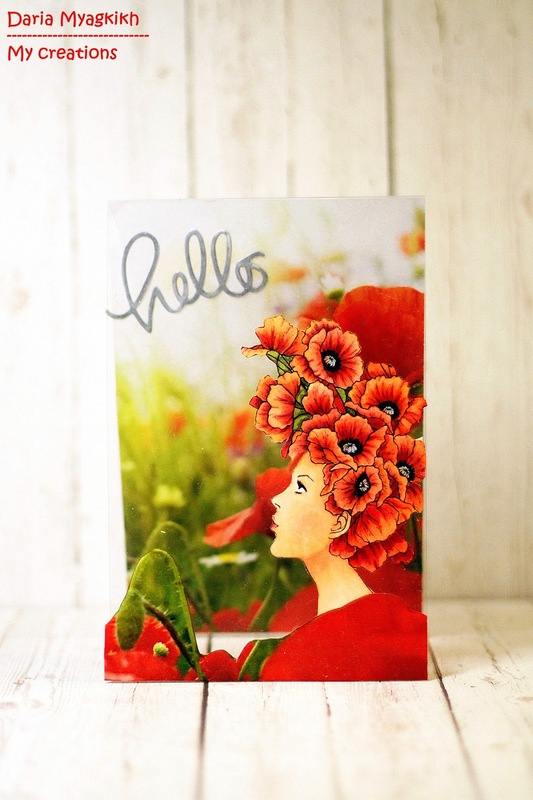 I have used the new vintage flourish leaves and you can see a close up of the flower circle border die and the Dutch Doobadoo kraft borders on the edge. The Let's party text was cut twice from the matching papers on two colours. The new star border at the top of the top, one cut in kraft card and the other again in the papers to match. You can also see the beautiful butterflies and the grunge frame. 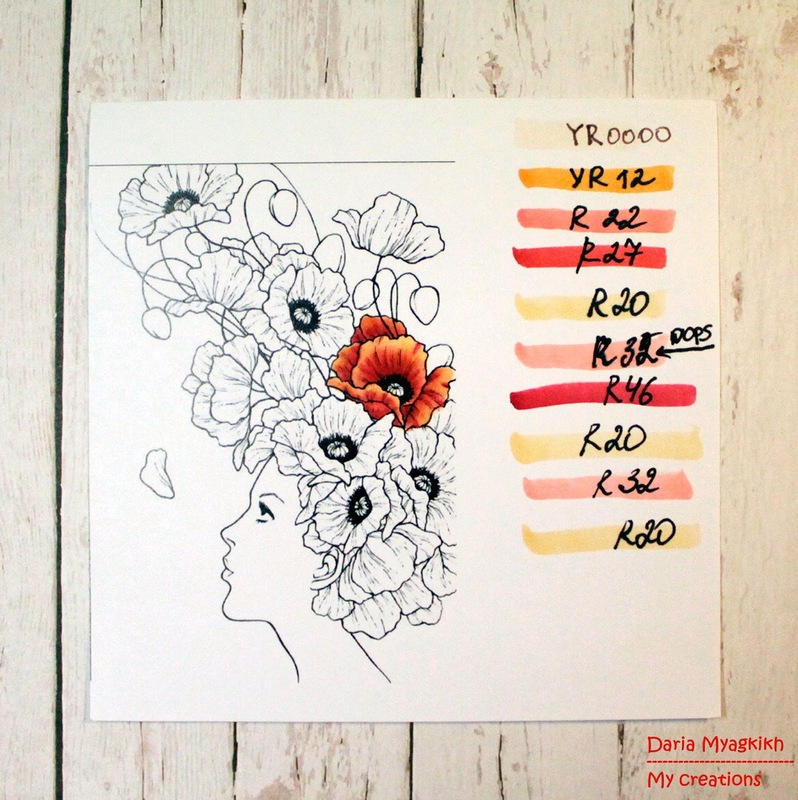 Daria Myagkikh - Forget boring lessons! Study is FUN! Today I would like to show you deffinatly non-traditional project :). The story is - My older daughter takes classes with a speech therapist. She is only 4 and it is not very easy for her. There are many exercises that she has to do. One of which is gymnastics for lips and each exersise has its own name - Frog, Lion, Elephant and Baloon. Speech therapist was kind enough to give Tonya four cards - so she will remember what to do at home. Weeeeeeeell... 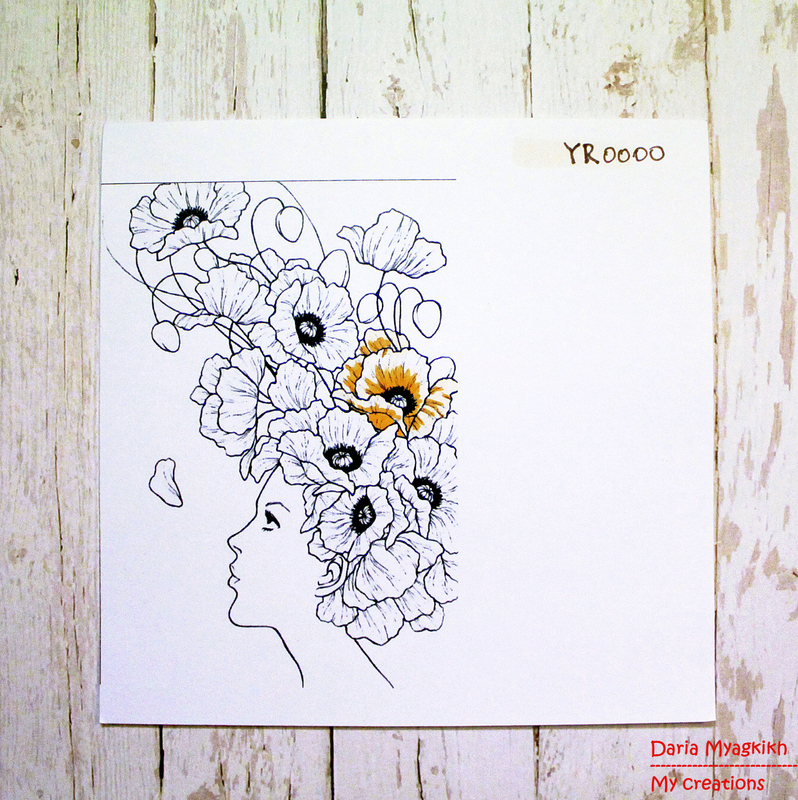 I thought that those cards are a bit boring...and created my own...with the help of stamps and Copics of course. On the up right corner you can see "original" cards. 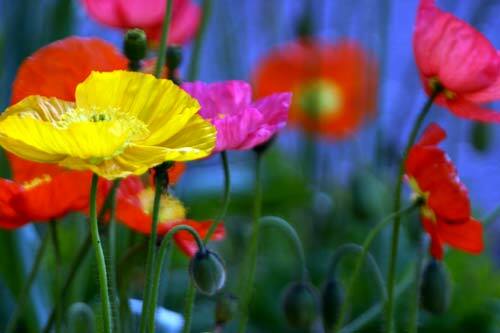 I used four images from Mo Manning to create more colorful and fun equivalent. I think that result is worth my efforts. I deliberatly made very simple decoration - nothing should destract Tonya's attention from the picture - dots, machine stitching and names (so we can learn English words as well...hehehe). If you ask me...I would say that my favorite card is with the Froggy...so let me tell you the key numbers of markers for that image. 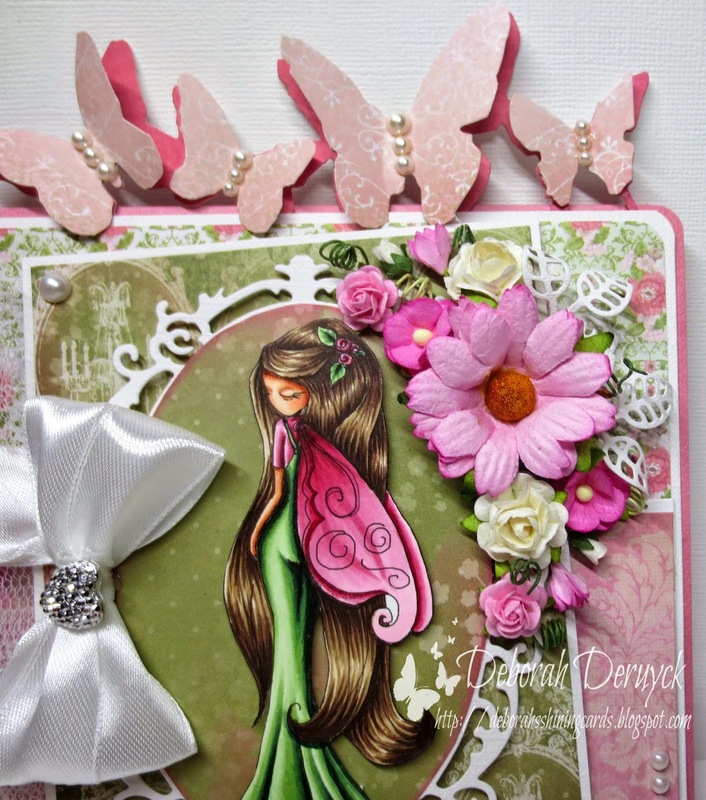 Add a bit of glossy accents and ranger stickles on wings of fairy - and voila! 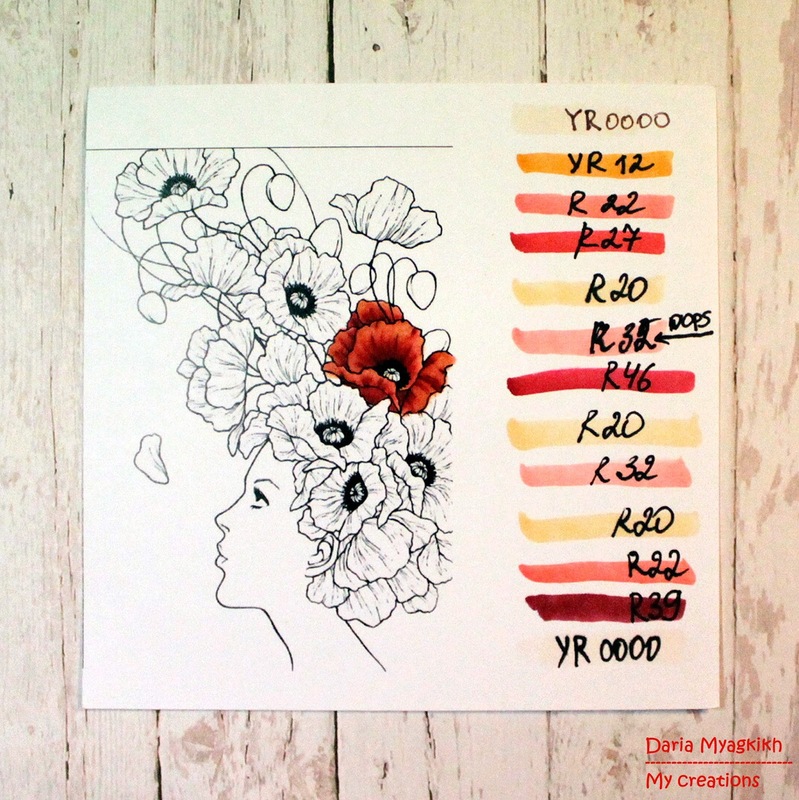 Wishing you a great day and very creative mood! 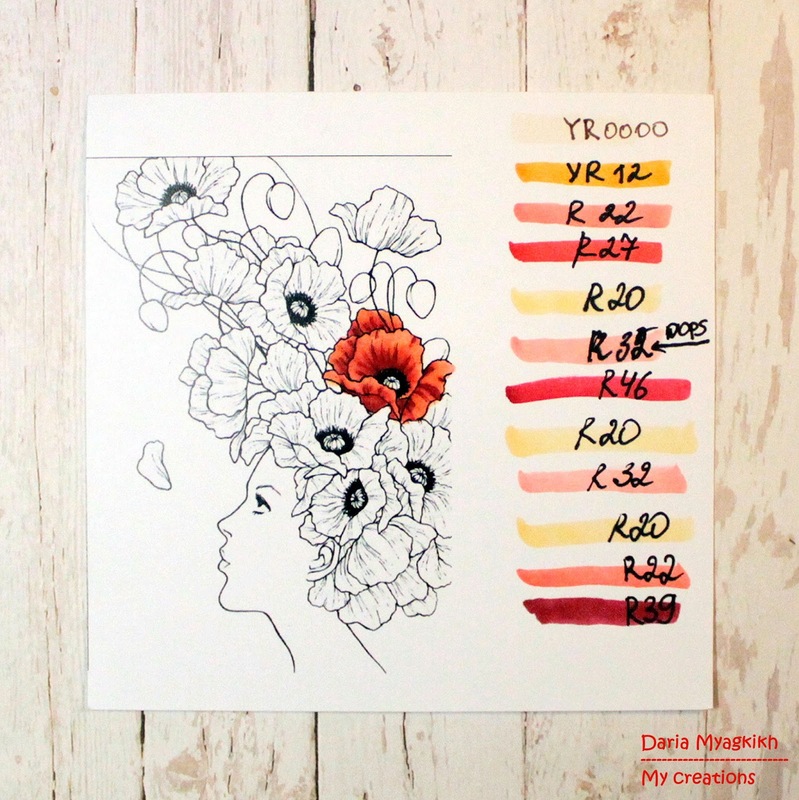 Dear Copic friends, how are you? 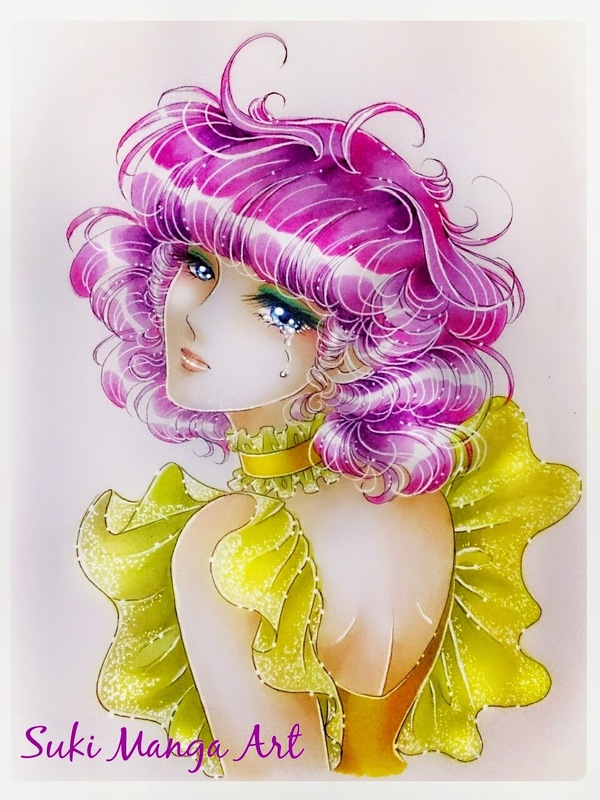 Today I will show you a fan art inspired in "Creamy Mami". She is a magical girl and singer from an anime of 80's. Hello everyone! 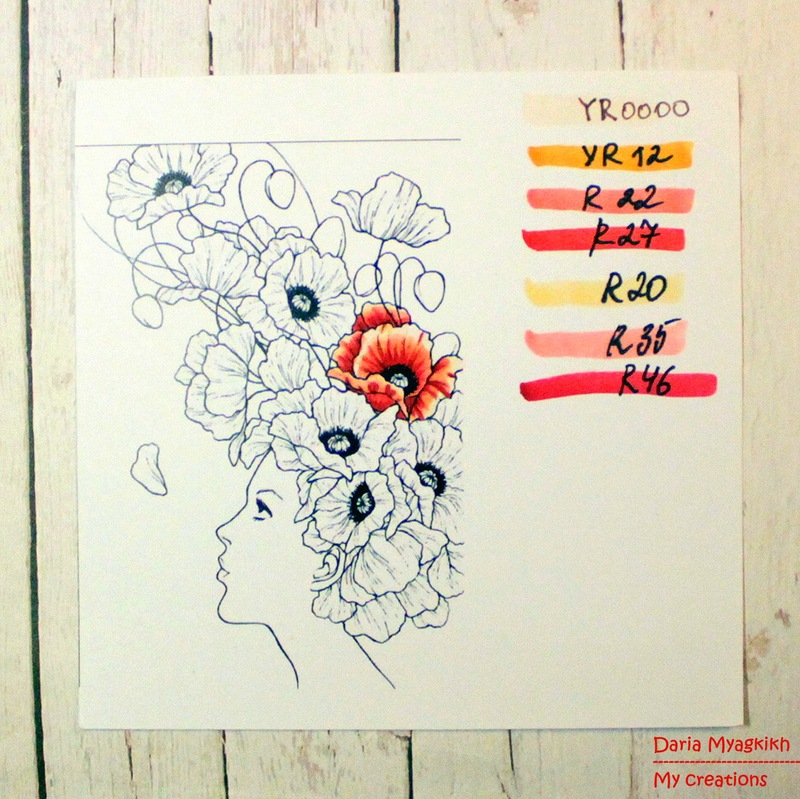 It's Delphine here today, to share a simple 100% Copic card as I like doing! 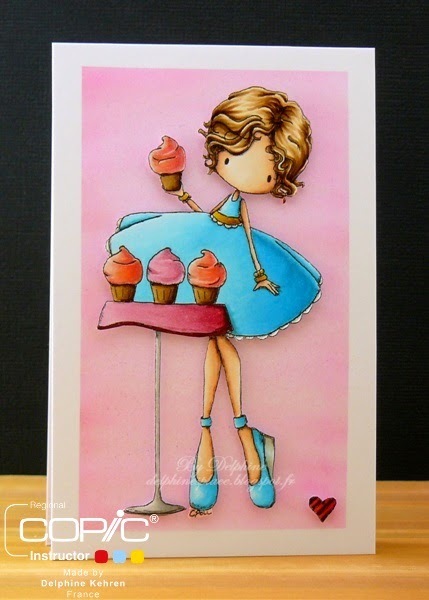 I have made the most simple background and used one of Tiddly Inks latest stamps released, called Cute As A Cupcake - just because I love cupcakes!! 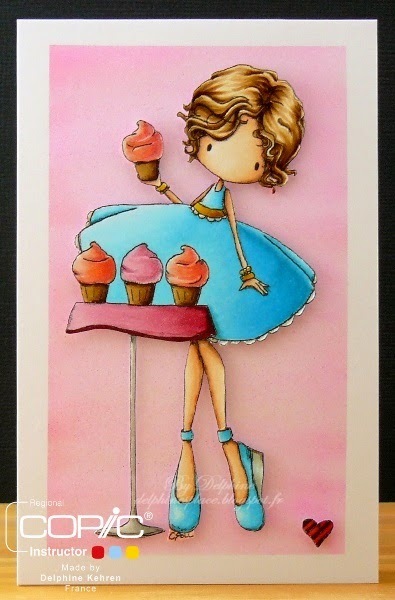 I stamped this cutie from the Cute As A Cupcake stamp set and coloured her with my Copics. I also coloured the little heart which comes with the set. I cut everything out to pop my elements on my background - a very simple one I did using my beloved airbrush, once I had masked the borders of my card to leave a white frame around. Tracy here and with all the recent snow I thought I would make a winter card to share with you. The image is by PPinkyDollsart called Playing with the snow. 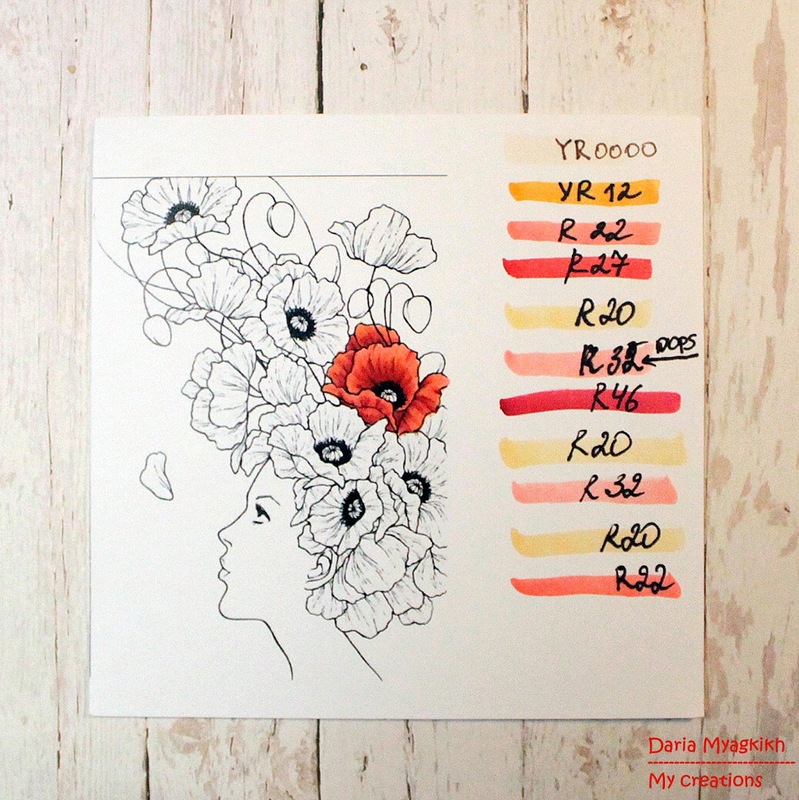 Elizabeth here today to give you copic inspiration from Norway. I made a card for a new baby boy. I love this Mo Manning image, you can use it for so many occasions, and I decided it could be a boy or a girl, depending on the colors used. The colors are neutral so I could go either way... this time it's a boy! 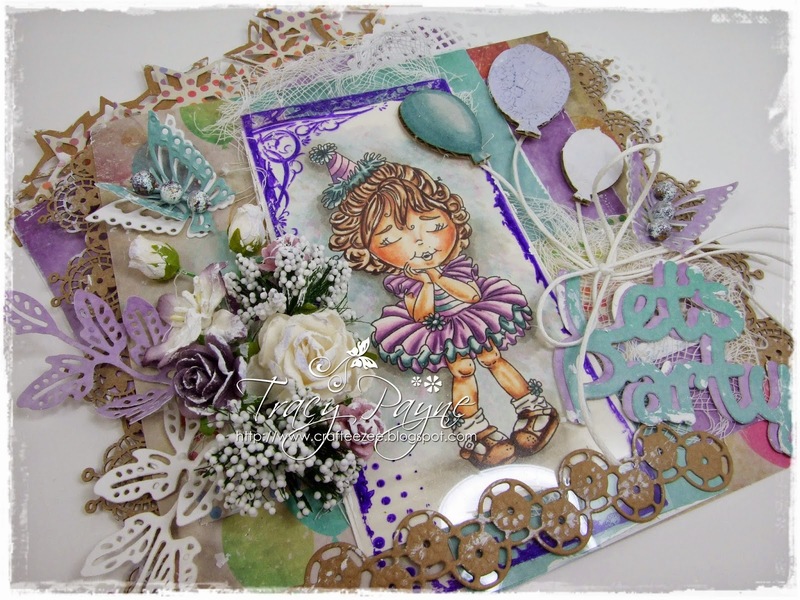 I used Pion Design papers and some sweet newborn charms and sentiments. Pretty simple decoration really. 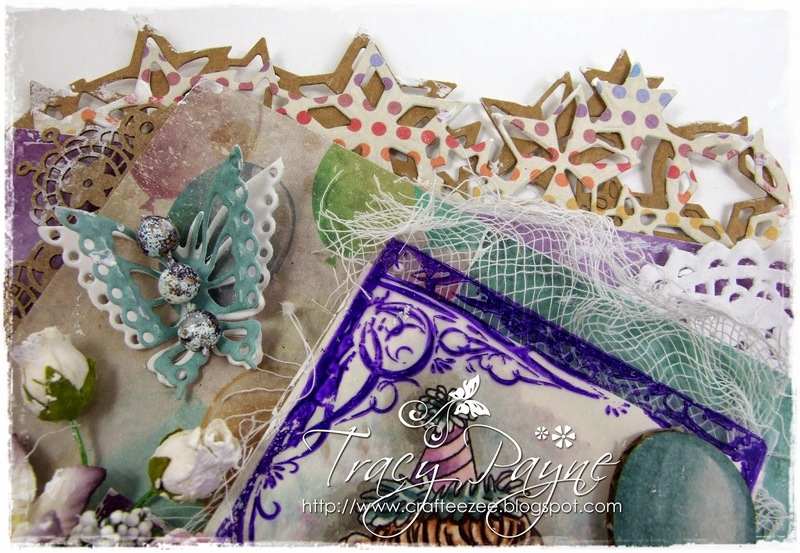 Dies by Magnolia, Spellbinders and Memorybox. Flowers by WOC and Kort og Godt. 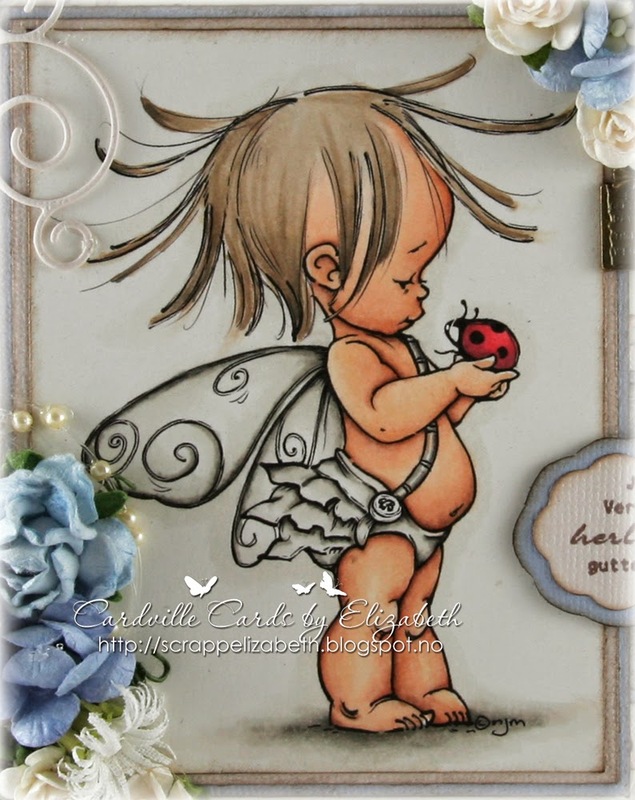 The image is Baby Fairy with Ladybug digi from Mo's Digital Pencil. Here's the inside of the card with a couple of sentiments about the newborn baby.